While out on the open water being prepared is often the best protection. A distress from a ship at sea needs the reassurance of dependable communications, especially while traveling outside the scope of traditional maritime communications. 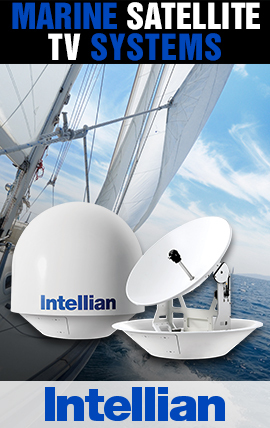 The Iridium network is designed to work in even the most extreme conditions at sea. Iridium’s unique network design consists of 66 cross-linked satellites in Low-Earth Orbit (LEO) that cover the entire globe; pole-to-pole. The Iridium constellation architecture uses L-Band Frequencies (between 1 and 2 GHz), creating weather-resistant connections. LEO also provides a stronger signal and better “look angles” than geostationary satellites keeping ships connected from any location; including in harbors and the polar regions. A reliable GMDSS solution is essential for ship owners, operators, and crews regardless of their chosen route. Iridium is driving the future of maritime safety with their next generation network and service, Iridium Certus, which will provide coverage and protection that meet the IMO’s new performance standards for GMDSS equipment and services. By 2020, Iridium expects to provide mariners with an alternative GMDSS solution that will offer secure, reliable, and truly global voice and data GMDSS communications in a single small-form-factor maritime mobile terminal at a fraction of the price of today’s solutions. Iridium Certus brings high-quality, high-speed communications to the maritime market and also with a truly global scope so no matter where you are on the planet your ship and crew are connected and safe! 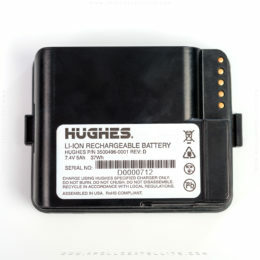 Long Range Identification and Tracking (LRIT) equipment is mandatory for passenger ships on international voyages, high-speed craft, mobile offshore drilling units, and cargo ships over 300 gross tons. Iridium Short Burst Data (SBD) service enables LRIT with truly global coverage and a range of high-performance dedicated device options. International waters are becoming increasingly threatened by piracy, making the need for ships to have highly secure communications essential. To counter the threat of piracy, Iridium and its partners provide a number of options, including covert antennas for citadel solutions, built with leading technologies and specifically designed to assist in the case of an attack on a vessel. Iridium is the only mobile voice and data satellite communications network that spans the entire globe. Iridium enables connections between people, organizations, and assets to and from anywhere in real time. Together with its ecosystem of partner companies Iridium delivers an innovative and rich portfolio of reliable solutions for markets that require truly global communications. The company has a major development program underway for its next-generation network; Iridium NEXT. Iridium Communications Inc. is headquartered in McLean, Va., U.S.A., and its common stock trades on the NASDAQ Global Select Market under the ticker symbol IRDM. Iridium partners are harnessing the power of the Iridium constellation to provide real-time Automatic Identification System detection of vessels outside the normal range of VHF transmissions. This innovative system detects AIS broadcasts and retransmits them through the Iridium network, enhancing maritime domain awareness beyond the horizon.